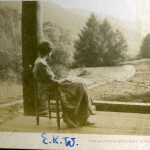 Evelyn K. Wells [ the K. is for Kendrick] earned a Bachelor of Arts degree from Wellesley (Massachusetts) College in 1913. 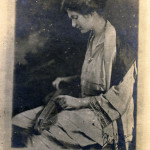 Her first appointment upon graduating was at the Hartridge School, a private, nonsectarian school in Plainfield, New Jersey, which lasted until 1915. 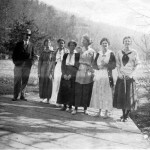 In 1916 she traveled to Pine Mountain Settlement School, where she was employed as the secretary for the School for the next 15 years. 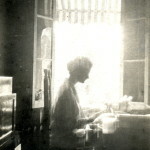 In 1931 she served as acting head of the School until a permanent director could be appointed. That director was Glyn A. Morris whose changes in the Pine Mountain program often caused friction between the two. 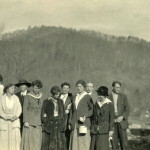 Following her departure from Pine Mountain Wells still remained connected and served for a time on the Board of Trustees for the School. It was during this period, in the late 1930s that the two strong personalities of Wells and Morris clashed. Many of the confrontations centered on administrative issues, for the two remained constant in their affection for mountain life and for the European traditions that the School so strongly supported. 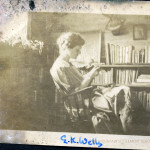 Miss Wells returned to Wellesley College in 1932 and graduated in 1934 with a Master of Arts degree. She remained at Wellesley for the remainder of her career, becoming prominent in the study and teaching of English Literature and Anglo-American folk dance and song. 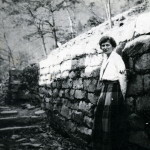 She retired in 1956 as a Professor of English after twenty years at Wellesley College, subsequently becoming an Honorary Member of the Alumnae Association. 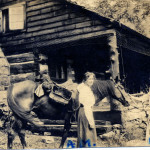 In the ninth year of the Pine Mountain Settlement School’s existence, The Atlantic Monthly magazine reprinted an article, “A Glimpse of the Kentucky Mountains,” describing the Appalachian community surrounding the School. 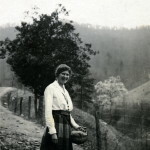 Miss Wells wrote an eloquent letter, dated January 7, 1921, to the magazine’s editor, protesting the article’s negative characterizations of “country folk.” Her words demonstrated a deep respect for the mountain people whom she came to know while working at Pine Mountain Settlement School. Folk dance music — Appalachian Region. 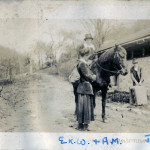 The personal papers and collections of Evelyn K. Wells are located in The Country Dance and Song Society Archives and University of New Hampshire Library, Durham, New Hampshire. 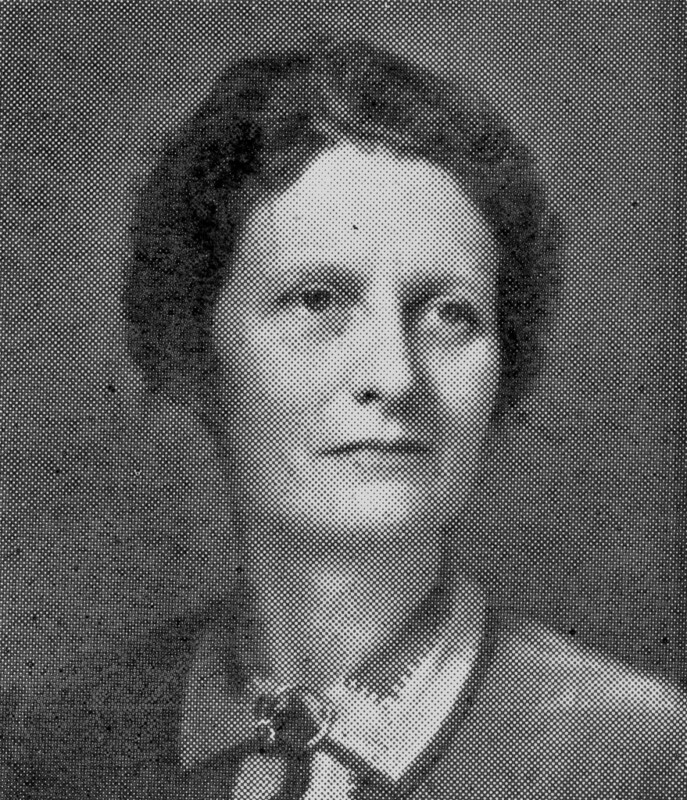 Extant administrative files of PMSS directors from 1911 to 1940, including those of Miss Wells, are located in the Southern Appalachian Archives, Special Collections & Archives at Hutchins Library, Berea (KY) College. 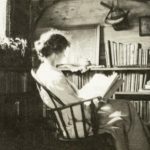 The selected bibliography below provides some indication of the wide network of contacts and colleagues in the scholarly world of folksong studies that she established during her career. 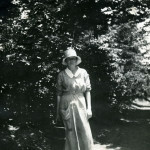 Wells, Evelyn K. Cecil Sharp in America. London: English Folk Dance and Song Society. 1959. Print. Wells, Evelyn K. “Ballad Backgrounds in the Appalachians.” Mountain Life & Work. 23 (Fall 1947): 14-18, 23-24. Print. Wells, Evelyn K. “Information, Please.” Mountain Life & Work. 36 (Summer 1960): 32-33. Print. Wells, Evelyn K. “Playford Tunes and Broadside Ballads.” Journal of the English Folk Dance and Song Society. 3 (December 1937): 81-91. Print. Wells, Evelyn K. “Some Currents of British Folk Song in America 1916-1958.” Journal of the English Folk Dance and Song Society. 8 (December 1958): 129-141. Print. Coffin, Tristram P. The British Traditional Ballad in North America. Philadelphia: Publications of the American Folklore Society, Bibliographical and Special Series 2, (1950, revised edition, 1963). Print. Green, Archie. Green Fields of Illinois, an LP record of traditional folk music performed by artists from southern Illinois. Champaign-Urbana, IL: Campus Folksong Club, University of Illinois, 1963. Sound recording. Ives, Edward D. “Twenty-One Folksongs from Prince Edward Island.” Northeast Folklore. 5 (1963). Print. Ives, Edward D., and Larry Gorman. The Man Who Made the Songs. Bloomington, IN: Indiana University Press, 1964. Print. Laws Jr., G. Malcolm. Native American Balladry: A Descriptive Study and a Bibliographical Syllabus. Philadelphia: Publications of the American Folklore Society, Bibliographical and Special Series, v. 1, 1950. Revised edition, 1964. Print. Lomax, John A. Adventures of a Ballad Hunter. New York: Macmillan, 1947. Reviewed by Evelyn K. Wells in Mountain Life & Work. 23 (Winter 1947): 25-26. Print. 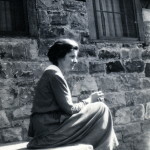 Evelyn Wells frequently served as a reviewer for the Journal of the International Folk Music Council. The following reviews, included in the March 17, 1965 (v. 17), issue of that journal, are but a few of the many reflections she gave to materials published on folk music. Flanders, Helen Hartness, Tristram P. Coffin, and Bruno Nettl. Ancient Ballads Traditionally Sung in New England. Philadelphia: University of Pennsylvania, 1960-1965. Print. Greenway, John. Journal of American Folklore 77. Print. Hand, Wayland. Western Folklore XXIII. Print. Richmond, W. Edson. Midwest Folklore. VIII. Print. Botsford, Florence Hudson, ed. & compiler, Folk-Songs of Many Peoples with English Versions by American Poets. New York, NY: G. Schirmer Inc, October 1933. Print. Sheffield, Alfred Dwight, revising editor, third edition of Dictionary of English Synonyms & Synonymous Expressions Designed as a Guide to Apt and Varied Diction by Richard Soule. Boston: Little, Brown and Company, 1938. Print. The editor wishes to make a special acknowledgment for the assistance rendered in this task by Miss Evelyn K. Wells, who made the primary revisions and her care have greatly lightened the labor of final revision. Wells, Evelyn K. “Of English Literature – On Renaissance Poetry and Music.” Lecture presented on October 30, 1962, at Wellesley College, Wellesley, MA. Advertised in The Tech (October 24, 1962) 6. Print. Wells, Evelyn K. “A miscellany of broadsides set to the tunes of Playford’s English dancing master (first edition, 1650).” Thesis. 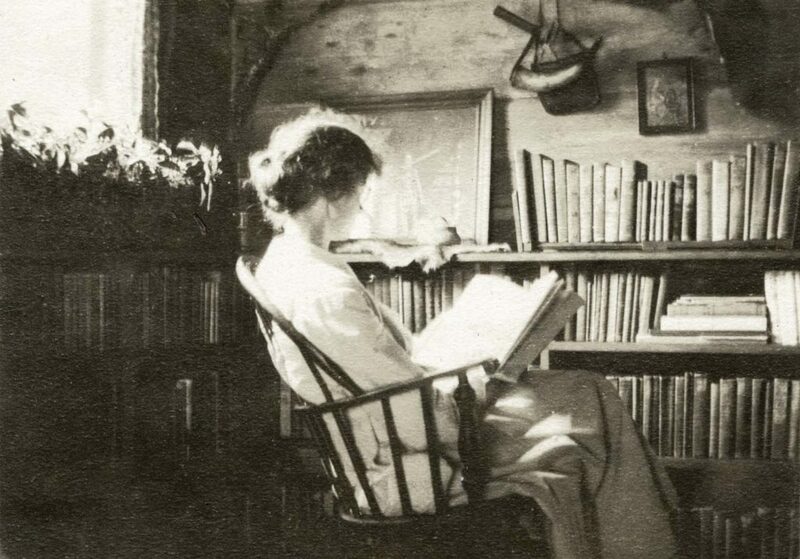 Wellesley, MA: Wellesley College Department of English Literature, 1934. Print.